Evergreen content. Doesn’t the phrase just burst with freshness? But this is a bit of a paradox, really, because evergreen content isn’t necessarily new or fresh. Rather, they’re ideas of a sustainable and timeless nature, equally applicable at all times. Trends or fads in music, social media, fashion, gadgets etc. Help to establish you as an authority. Can easily be reposted at a future date. Can be formatted for easy social sharing. Are easily converted into companion ‘Best Of’, ‘How To’ and numbered list posts. Tend to rank higher in search engines because of their longevity. Continue to generate leads long after their publication. With those rich benefits, it’s evident that evergreen blog posts deserve a spot in your repertoire. So, to create killer evergreen content give the following tips a try. K.I.S.S. As the expert in your field, your audience is likely to be mostly beginners – so keep the technical jargon and industry verbiage to a minimum. Simple words, short sentences, clear and concise ideas. Keep your evergreen posts specific to your niche. The more specific and targeted your post is, the more referrals, testimonials and shares you’ll receive. Providing your content is good of course. Drill down to find out the specific needs and wants of your most valuable customer segment. Make use of multiple platforms. From your evergreen blog post, spin out new content for Slideshare, YouTube and podcasts. This will leverage the extent of your reach, as you’ll cover a greater portion of searches. 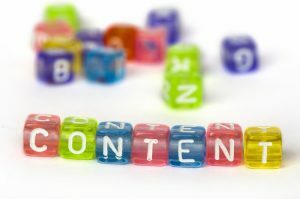 Provide outstanding content of high value. Give your evergreen content the opportunity to become an esteemed reference resource by answering the most pressing questions in your niche. Prefix your searches with ‘how’, ‘why’ and ‘what’ to unearth the most popular queries being searched. Use internal links to other related posts on your site. By providing an array of content, you’ll bolster your authority and position as an expert. This will also boost traffic and rankings, and establish your site as a trustworthy source. Ask for feedback. Engage your readers with questions and encourage their comments to get a feel for what’s urgent for them. And don’t be shy about asking them to suggest topics: they know best where their interests lie. If you respond with in-depth, expert material they’re more like to share it within their tribes, widening your audience. Have you ever searched long and hard for the perfect resource material only to find the content outdated? Don’t disappoint potential new subscribers with material that’s old and outworn; keep your articles in good working condition. Maintain your evergreen content. To stay pertinent, your evergreen posts will need to be updated regularly. Refresh with new developments, and delete what’s no longer applicable. Adjust, rather than rewrite – this will keep the ranking benefits the post has already garnered. Upgrade your CTA. Pay attention to your calls to action in any evergreen material. Ensure they’re still relevant for that post, and refresh where necessary. Keep evergreen posts SEO optimized. Identify the keywords you want to rank for, and build them into the posts with anchor text for increased traffic. Leverage with social media. Repost updated material to social media and promote your evergreen material for a growth in referral traffic. Make them visible. Make your evergreen posts easy to find on your blog. Use your analytics to determine the most popular posts, and have them in a sidebar menu for easy access. ‘How To’ manuals, guides and tutorials. Material that describes a procedure or process, that isn’t time specific, makes good evergreen content. Industry resource posts. Providing a ‘Top 50’ resource list for your target market is always a good choice. But do remember to maintain your list – keep your links and references current. Frequently Asked Questions. Targeted for the beginner, FAQ posts establish your authority and can play an important part in your marketing strategies. Lists Posts. We all love a good list post because they’re easy to scan and readers can pick and choose what they want to focus on. “A strong list is a strong, shareable article” according to Chris Lake. Curated posts. Collect examples and references for your readers and create a compilation they’ll find valuable. There’s more than that of course. And you can find a fairly extensive list of evergreen markets and niches in this post at the Warrior Forum. Of course, you don’t want to focus solely on producing evergreen content only. Mix it in with your topical content for best value. Doing so will maximize your opportunities for increased traffic and establish your position as an authority in your market – making evergreen content a success strategy well worth applying. Blogging is something like addiction. If you started to love it, it will become habitual for you. BUT it will be of no use if you don’t have readers. That can be only happen if you have good content. Also as this blog explained, to make your blog post ever green, it doesn’t mean that you need a fresh content on that. You just have to maintain it in a proper way so it can be repost and can be shared on social media channels as well to be in a trend.